Stevia should be planted in the spring after the soil temperature reaches 65 deg F., in full sun and in a light, sandy, open, well drained soil with neutral pH. In southern states, stevia will require some filtered afternoon shading. If soil could be mounded up into a raised bed, this would be even better. Apply a layer of mulch, such as grass clippings, or bark mulch. This will help keep roots cool, preserve water, keeps the leave clean from soil (prevents dirty taste in green powder) and hold down weeds. Avoid weeding around mature stevia plants as their brittle branches are easily broken. 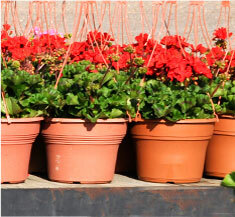 Avoid overwatering after transplanting and in winter as houseplant. Keep evenly moist during summer heat. Drip or soaker hose are very effective for summer watering. 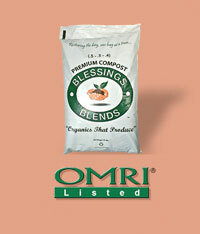 Feed with Blessings Blends OMRI-Listed Premium Compost (.5 – .5 – .4) as directed on the label. Mulch to prevent the plant from drying out on hot summer days. Container-grown plants will benefit from the same.